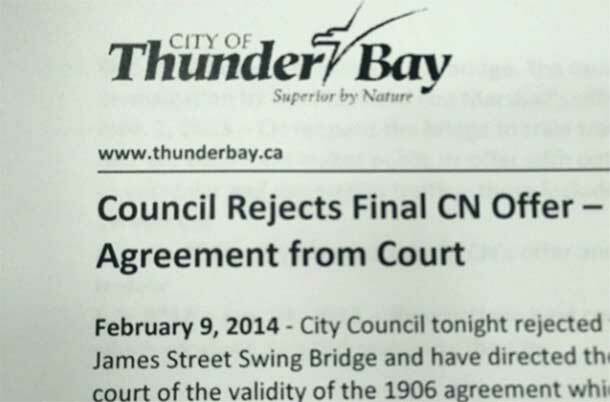 THUNDER BAY – FORT WILLIAM FIRST NATION – The Supreme Court of Canada is likely to release a ruling this week on the ongoing legal battle between the City of Thunder Bay and the Canadian National Railway. 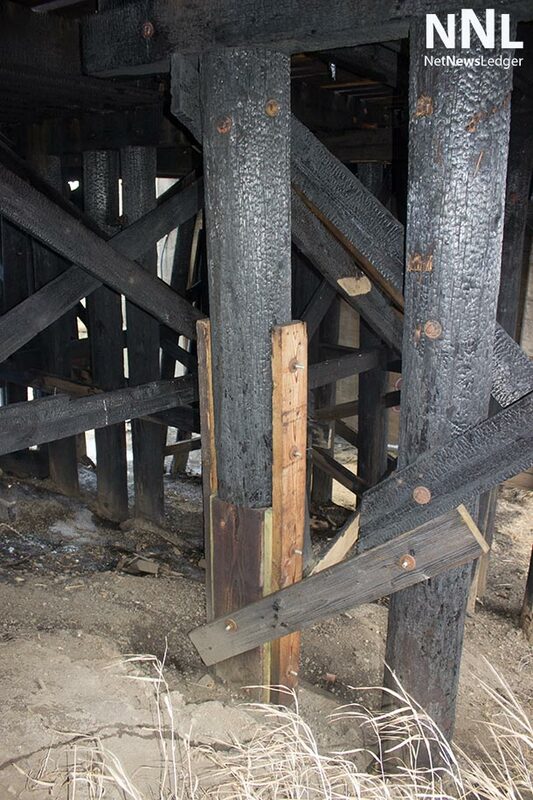 The James Street Bridge has been closed to vehicle traffic since an October 30, 2013 fire damaged the bridge. 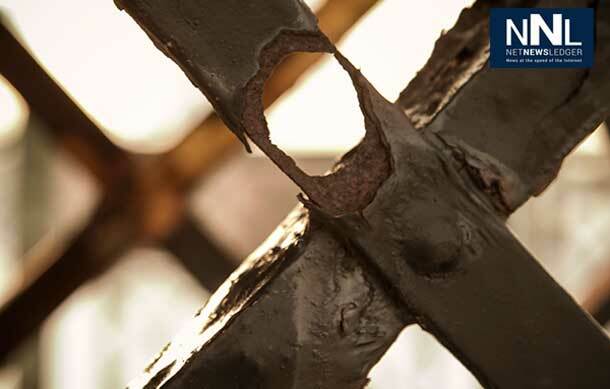 The ongoing situation has been through the courts several times with the railway losing each time. 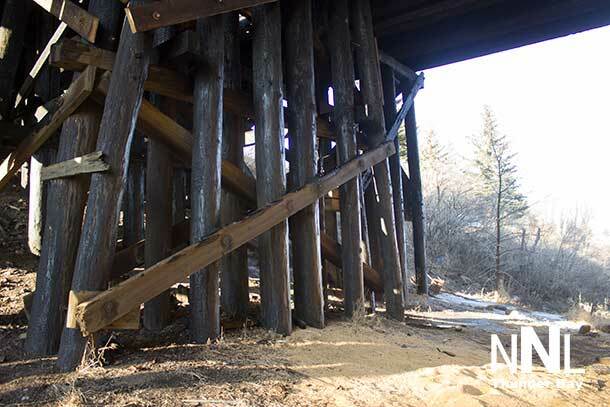 The Ontario Courts ruled that the bridge is to be re-opened but CN Rail appealed that decision. 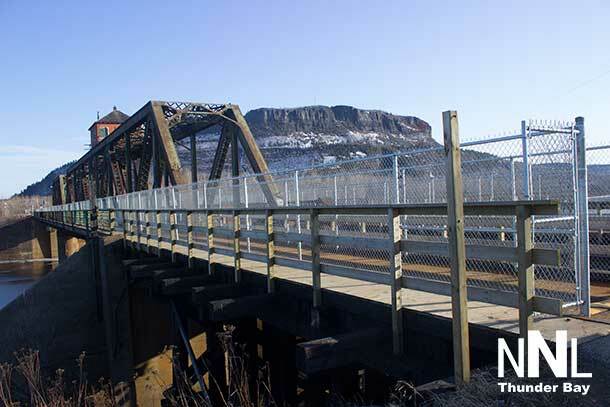 Chain Link Fence on the sides of the CN Rail James Street Bridge allow pedestrian traffic. 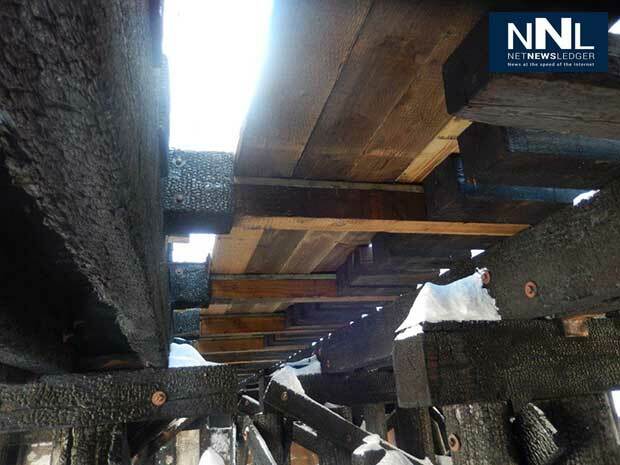 CN Rail has done repairs to the James Street Bridge as evidenced by new lumber. 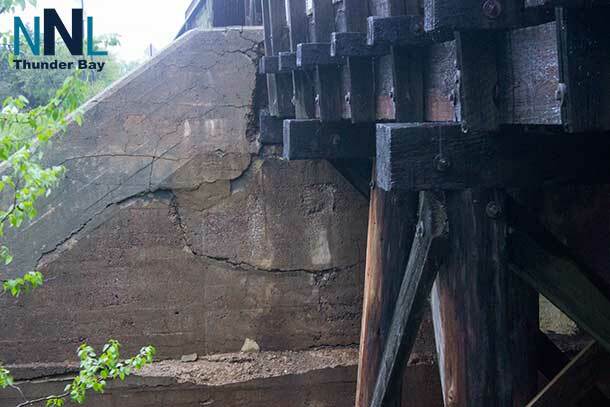 The James Street Bridge has remained closed to vehicle traffic. 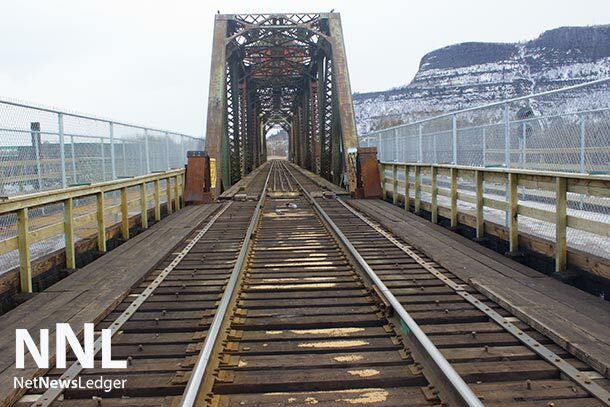 Trains have been crossing the bridge since late 2013. 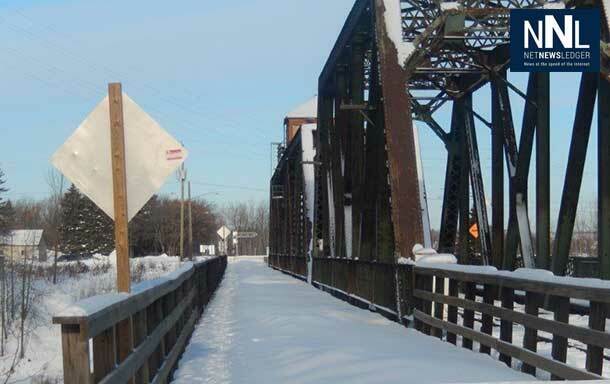 The James Street Bridge is closed to all but CN Rail trains. 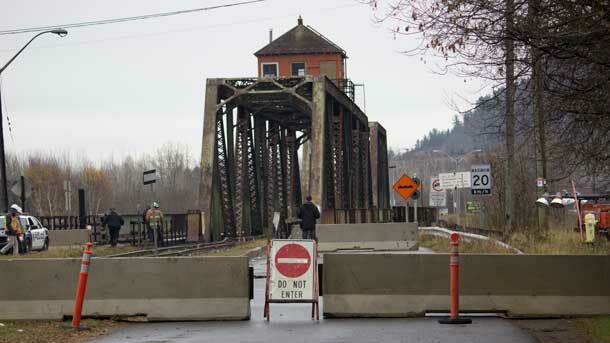 Closure of the bridge is costing businesses on both sides of the river a lot of money. 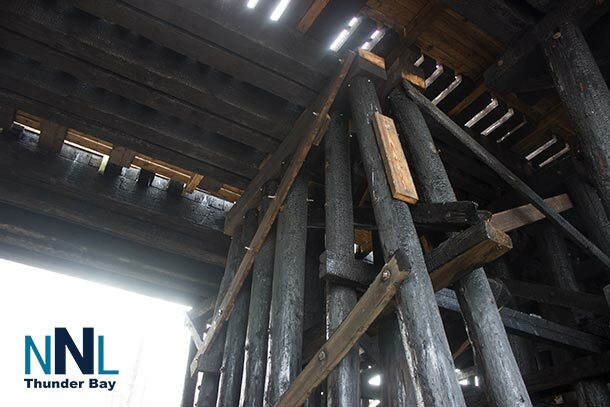 Underside of the James Street Bridge that CN Rail is running freight trains over after an October 2013 fire. 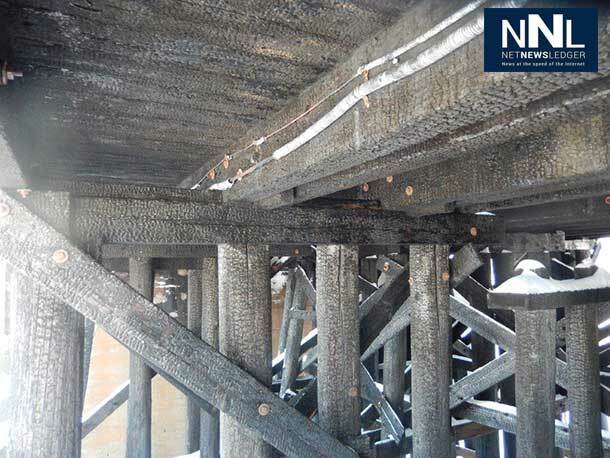 Underside of the James Street Bridge - Februay 2014. 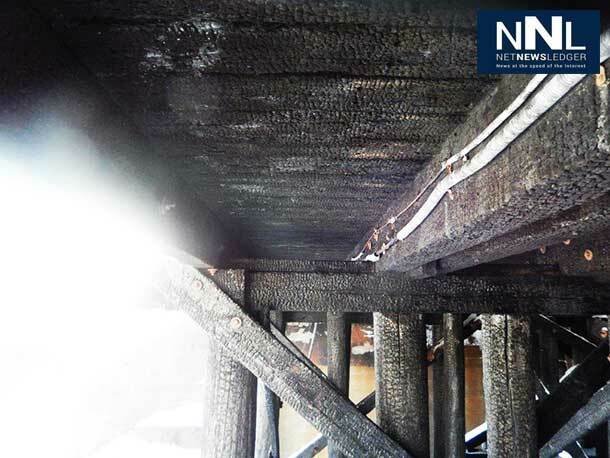 A view from the underside of the James Street Bridge - February 2014. 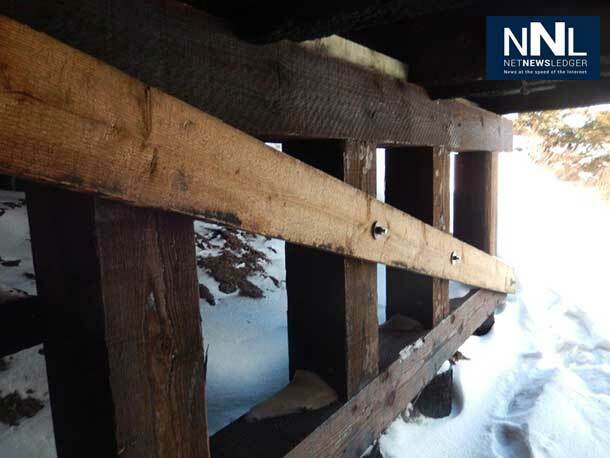 There has been some repairs to the James Street Bridge - February 2014. 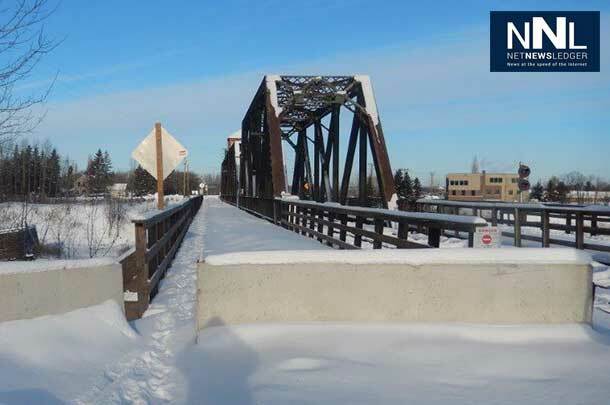 James Street Bridge in Thunder Bay crossing the Kaministiqua River. 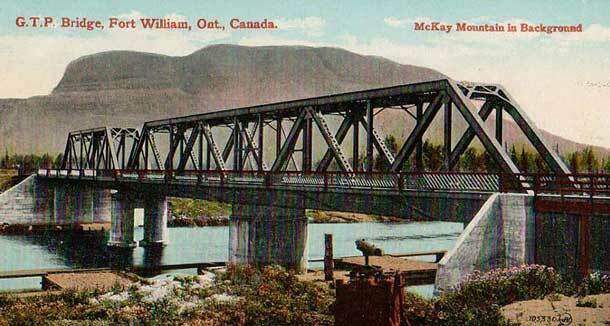 Postcard image of the James Street Bridge in its glory days. 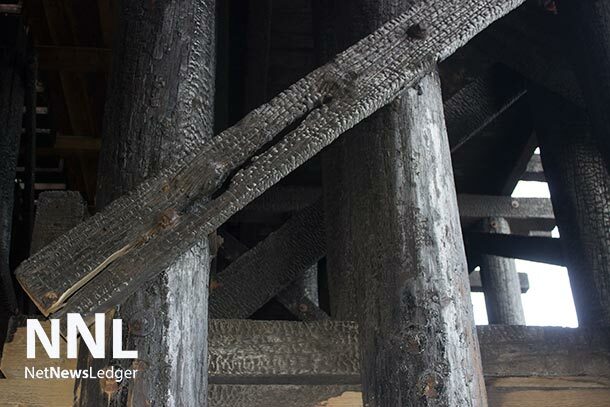 Photo Essay on the James Street Bridge - February 2014. 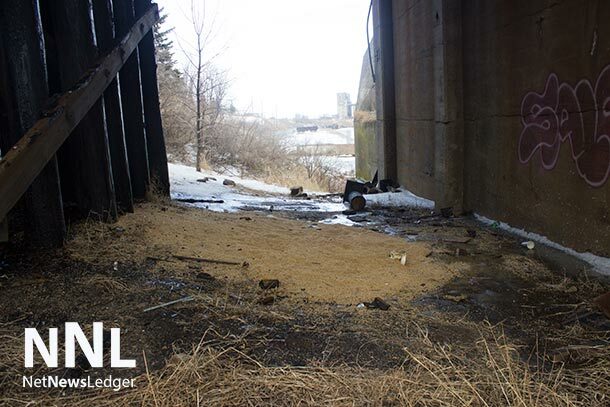 The bridge is closed to vehicles, as CN prepares a study. 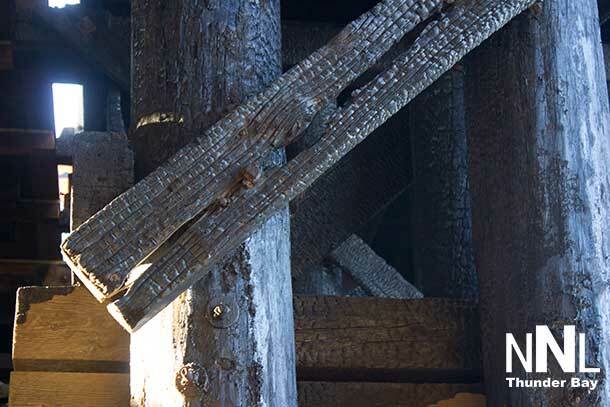 CN is running trains over the James Street Bridge. 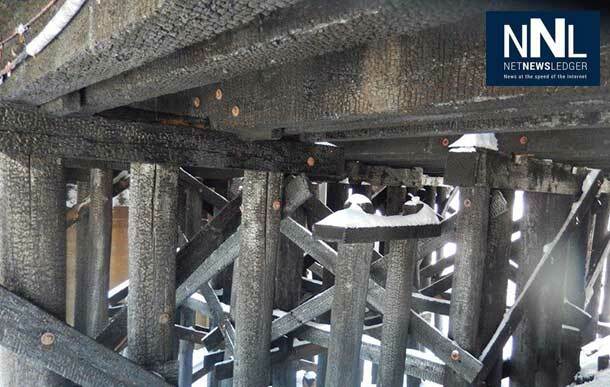 The company says the bridge is safe for trains. 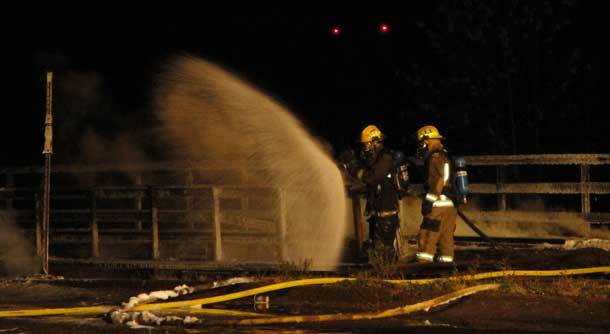 Thunder Bay Fire Rescue offers amazing service to the community. 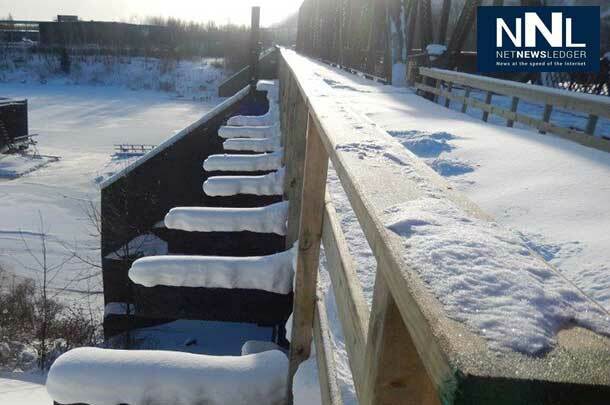 An incredible fire broke out on the James Street Swing Bridge connecting Thunder Bay to Fort William First Nation at around 7 p.m. today. 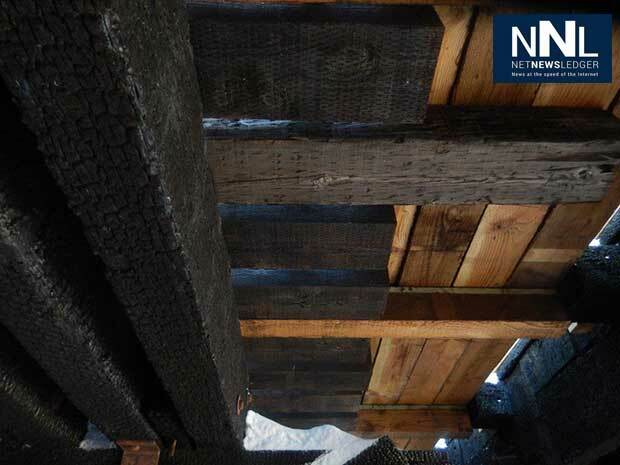 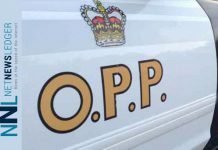 The impact of the bridge being closed has impacted fire, ambulance and policing response to Fort William First Nation and had a serious impact on business in Westfort, as traffic has been detoured to Highway 61, and away from Westfort. 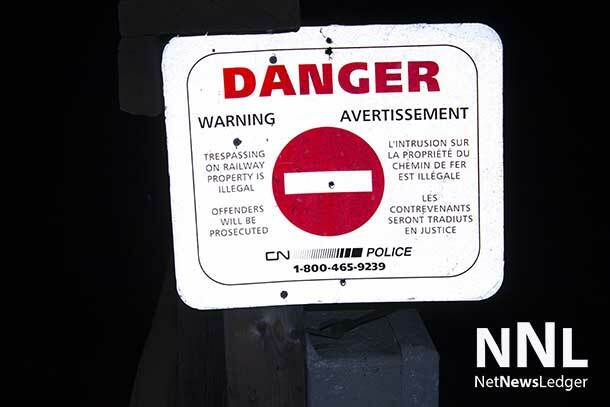 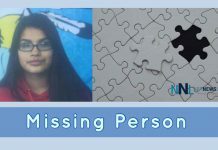 Fort William First Nation is not a part of the ongoing court action, which is between the railway and the City of Thunder Bay.